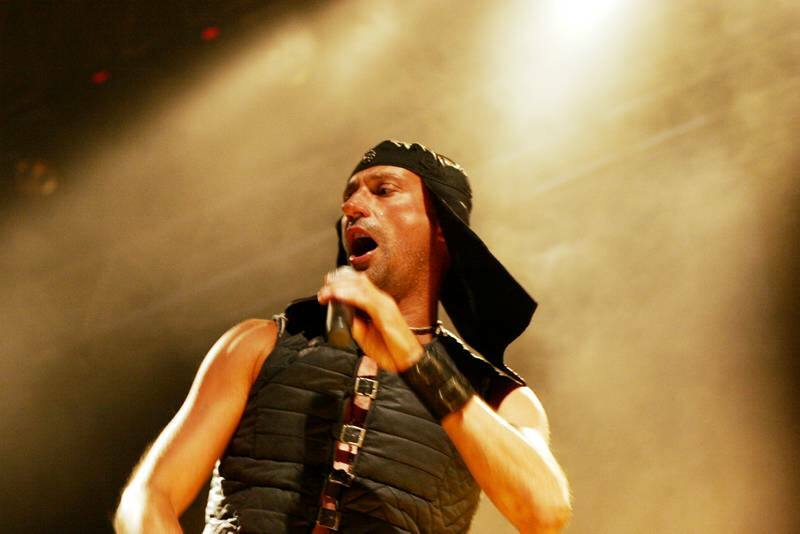 When you were observing Laibach and it’s leading singer Milan Fras, were you ever wondered what purpose does it have his headgear? I thought it’s just fashionable trick, but yesterday I realized it has also very practical properties. Few weeks ago I was helping my friend building a house. We were building walls from 7am to 4 pm. Sun was blazing and it was about 35C. 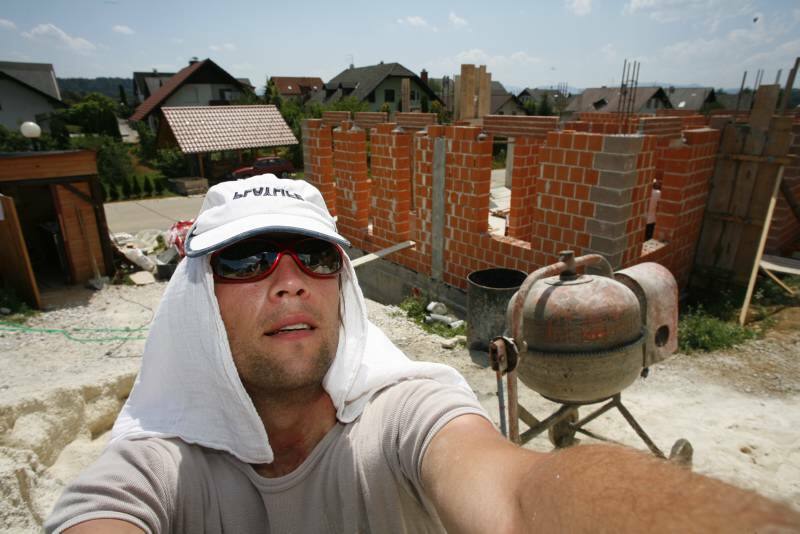 I worked without a sun protection and had a mild sunstroke. This weekend I used a cloth and a cap and it incredibly resembles on Milan Fras headgear. Don’t I totally look like a rock star? It makes sense since Laibach are coming from industrial town of Trbovlje and I imagine that they are using similar headgear for sun protection. 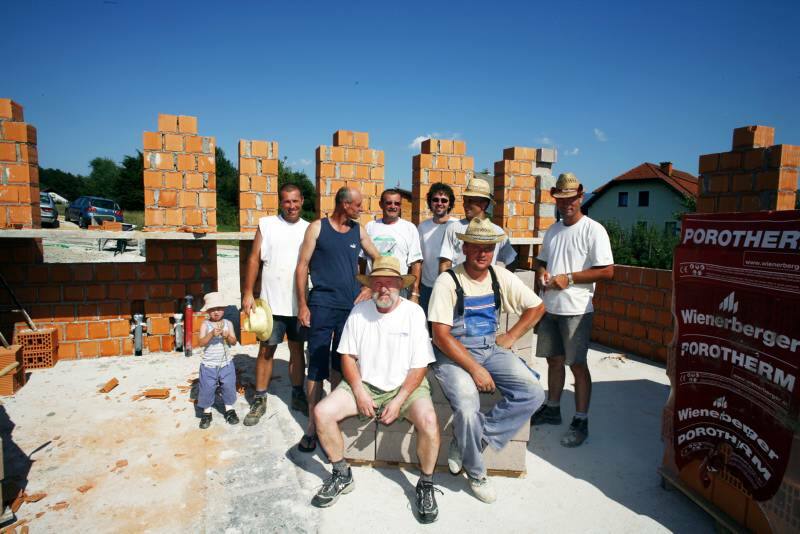 Janez and the crew two weeks ago. Nope. It’s a coal mining hat. Trbovlje is a mining town. So when the ceiling caves in you don’t want too much coal down your collar.